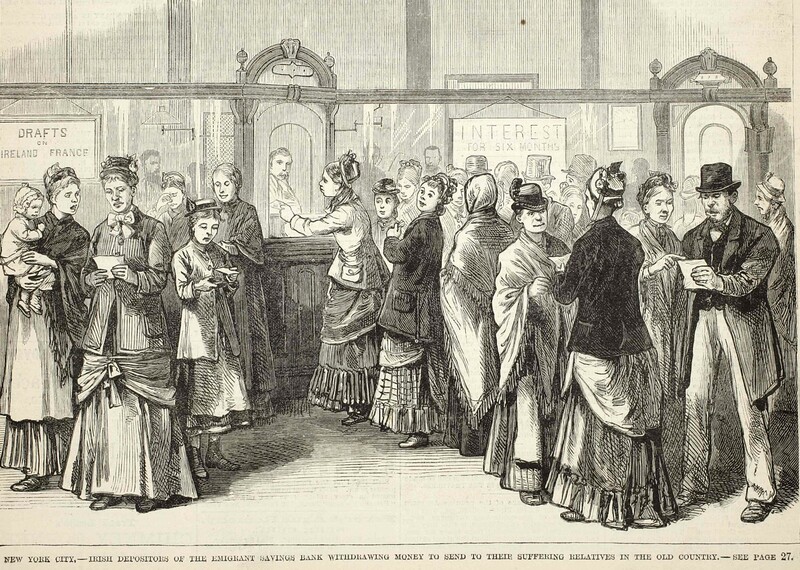 Irish immigrant women withdraw money from the Emigrant Savings Bank. NEH funding supported the digitization of the bank's records, allowing for a deeper understanding of what helped immigrants succeed in the nineteenth-century United States. Image courtesy of Beyond “Rags to Riches”. With Moving Beyond “Rags to Riches,” Tyler Anbinder created a new way of looking at immigrant experiences in the nineteenth century. With an NEH grant, the project digitized records for more than 18,000 accounts opened by immigrants at the Emigrant Industrial Savings Bank from 1850 to 1858. Using these savings and deposit records, Anbinder considered the degree to which Irish immigrants were able to save money and measured their overall success in pursuing the American dream. Contrary to accounts that imagine Irish immigrants as a perpetually-poor underclass, Anbinder found that many immigrants achieved a degree of prosperity that far exceeds what most scholars have previously imagined. Anbinder also shows that creating and maintaining networks with other immigrants significantly affected immigrants’ ability to achieve a measure of prosperity. A ledger from the Emigrant Savings Bank. Digitizing the accounts was a monumental task that involved transcribing thousands of handwritten records. Image courtesy of Beyond “Rags to Riches”. Digitizing the accounts was a monumental task that involved transcribing thousands of handwritten records. NEH funding allowed Anbinder to hire 30 students to work on the project over the course of several years, providing them with experience in historical research and funding for their education. 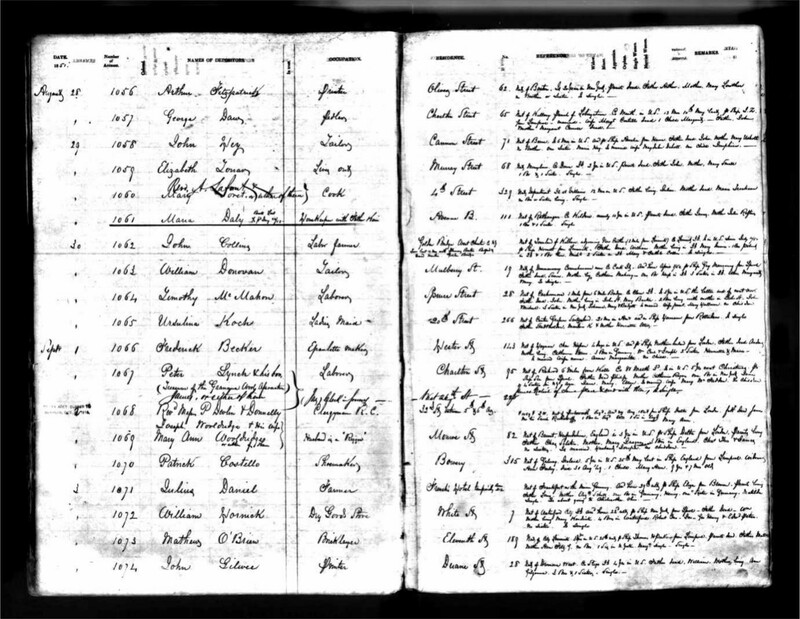 In addition to transcribing the accounts, students researched U.S. Census records and ship manifests to learn more about the account holders, eventually creating records that detail not only how much money people had, but also where they immigrated from, who they immigrated with, and the names of parents, spouses, and children. Anbinder has written about this work in several journal articles and a book, City of Dreams: The 400-Year Epic History of Immigrant New York (2016). He is working on another book that focuses closely on this project. 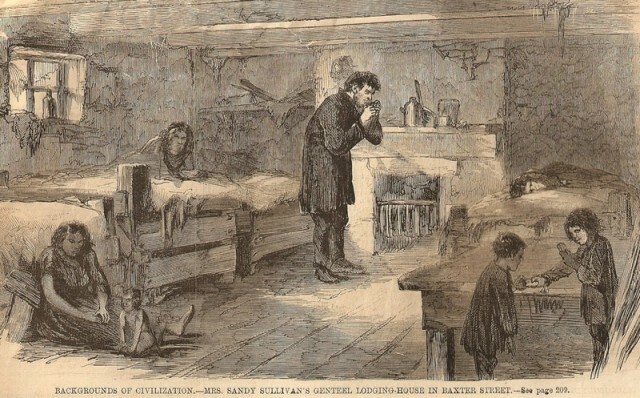 A New York City boarding house for Irish immigrants. Image courtesy of Beyond “Rags to Riches”. The data is valuable to professional and amateur historians alike. It is publicly available online, along with curated sets of documents organized by area of interest and tools that help K-12 and college teachers integrate the data into their teaching plans. This includes historical documents detailing the lives of 400 of the immigrants traced by the project.